Hostel la Bitacora, Puerto Natales, Chile : Rezerwuj teraz! Hostel Bitacora is a hostel with a good environment, we are a friendly staff and also our pet, a beautiful cat. 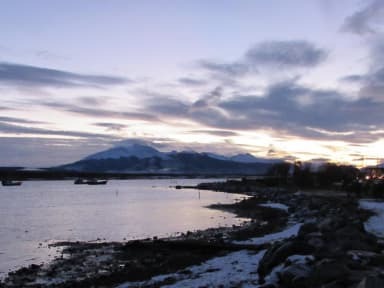 We are ready to respond your requirement and questions about the tourist information the region. We offer, shared rooms with shared bathrooms, fully-equipped kitchen, dining room and living room, ours service is with breakfast included, free wifi, among others. 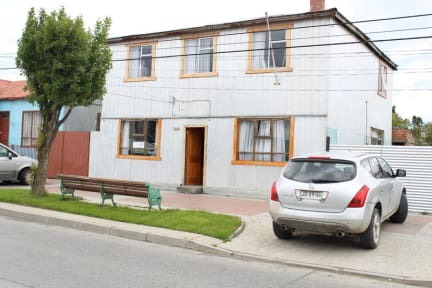 We are located in one of the best areas of Puerto Natales, near to some of the finest landmarks and attractions of the country such as Museo Histórico Municipal, Muelle Viejo, Muelle Histórico and many other landmarks and attractions that you can enjoy and explore in our city. We have two dorms for five and six people each, all of them equipped with all the necessary services and amenities to bring the best possible stay to our guests and travellers. In addition, we have several common areas where the guests and travellers can exchange past experiences and future plans. Check in from 13:00 . The tax is applied to the Chilean citizens and the residents in Chile.